Request for "Nishi Hongwanji" as the destination. 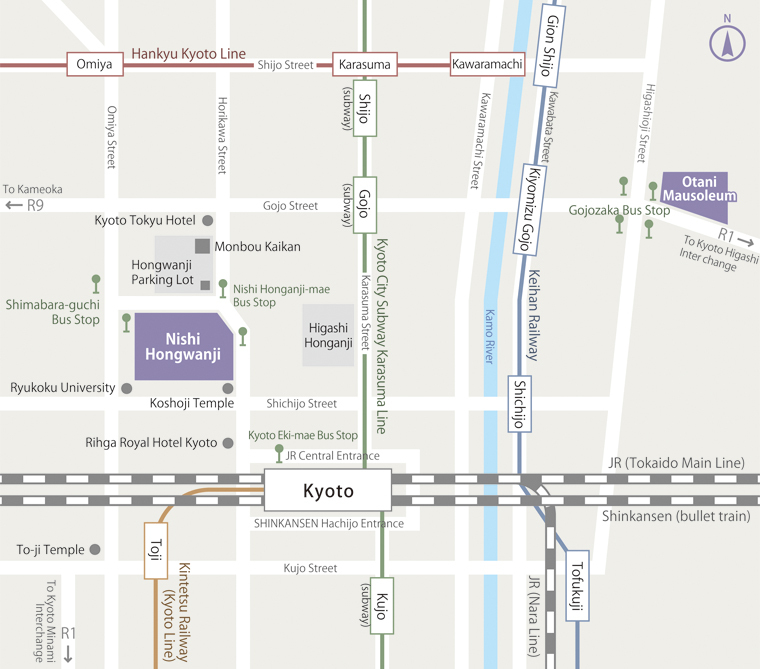 Approximately 5 minutes from Kyoto Station. Request for "Nishi Hongwanji" as the destination. Approximately 10 minutes from Omiya Station. Request for "Nishi Hongwanji" as the destination. Approximately 10 minutes from Shichijo Station.